There are some players in the NFL that from the time they began, almost everyone wagered on them to succeed, and there are others that not too many would have bet on – Cole Beasley is in the second class. Against all odds, the NFL star who plays as a wide receiver has been able to rise since making his debut in 2012 to make his mark as an integral part of his team. Here is more on how he was able to do that. The birth name of the NFL player is Cole Dickson Beasley, he was born on the 26th of April, 1989 to Mike and Danette Beasley in Texas Houston, United States of America. 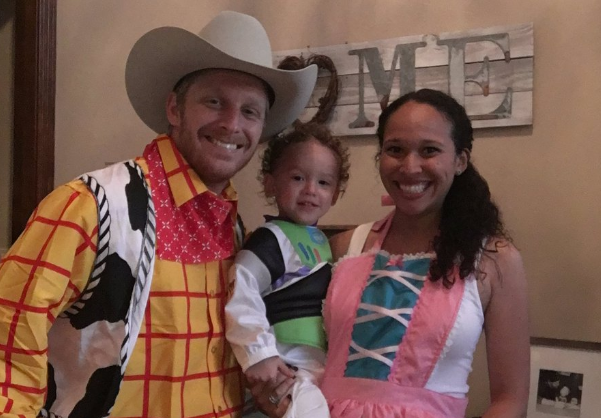 Cole Beasley is a Caucasian and has a brother called Shayne Beasley. Not much detail other than this has been released about his family. For his education, Cole attended the Little Elm High School where he became the star player of the school football team. The kid ended his Little Elm High School career having a total of 1, 184-yard rushed, 1570 caught passes, and 12 touchdowns with 3 picked off passes along the defensive line. He saw his team to a wonderful outing at the UIL- 4A playoff. As a quarterback, Cole was indispensable in his team as he was highly prolific with the ball. As such, in his senior year, he attracted the attention of a number of colleges including the Southern Methodist University which offered him a scholarship. While at the Southern Methodist University, Cole developed himself into a fast wide receiver who was capable of catching many passes from his teammates. He had a good start as a fresh year student as he played in about eleven games, from which he recorded forty-two passing receptions for 366 yards rushed with 3 touchdowns. His second year was no exception as he made a total of 40 catches across 493 rushing yards and had 3 touchdowns all in 7 games. His team later won the 2009 Hawaii Bowl. In his last year at Southern Methodist University, Cole recorded 86 pass receptions, in 1,040 rushing yards and 2 touchdowns thus wrapping a wonderful College career. After College, Cole sought to build a professional career in the NFL by attending the preseason training where he was picked by the Dallas Cowboys as their undrafted free agent in 2012 making their 53 man roster. In his first season with the team, he had 15 catches for 98 rushing yards in all 10 games he played but however, had no touchdown. In the 2013 NFL season, Beasley was able to score his first touchdown pass which he caught from Tony Romo, on the 3rd of October 2013 against the Denver Broncos. He began to improve his game stats a lot in the 2014 season recording a total of 420 receiving yards averaging his career high 11.4 with 2 receiving touchdowns and 2 forced fumbles. By 2015, 3rd of March precisely, Beasley’s contract was renewed for another 4 years estimated at $13.6 million. He also got more playing time on the pitch as his teammate Dez Bryant was out due to injury. In this season, he recorded 52 pass receptions for 537-yard rushed and 5 touchdowns. Cole was rated 2nd on the team after the 2015 season. The footballer did not disappoint in 2016 as he became the 2nd NFL wide receiver with 75 catches for 833-yard rushed and 5 touchdowns. His 2017 season saw him not performing to his best as he recorded his second career lowest receiving yards of 314 from the 15 games he played out of 4 he started. Cole is expected to improve his performance in the league as he plays out the terms of his contract. The handsome wide receiver has indeed scored a fortune with his net worth said to be over $13.6 million an annual salary a little above $3,400,000 which his talent and skill on the field has brought to him. He also has other sources of income – like endorsement deals etc. Cole Beasley is a good looking man but not necessarily one that is popular for dating many women. He is happily married to Krystin whom he married in Texas, COPPELL on the 28th of July, 2014 after months of dating. The union has thus far been blessed with two sons; Ace Beasley born in 2014 and Everett, who was born on the 16th of January, 2017. Cole Beasley stands at 5 feet 8 inches with a body weight of 82kg. Cole’s father – Mike was his high school team coach. He played Cole in virtually all positions; quarterback, defense, Punted etc. His jersey number in high school – 11 has been retired by his high school – the Little Elm. No one plays with that shirt number anymore. Beasley had his mind on attending the Texas A&M University but changed the plan because he wanted to pursue a football career as a wider and Southern Methodist University presented him with that opportunity. He was particularly discouraged after his preseason’s training that he left camp and almost gave up his dream of professional football, but after though things through, he came back to pick an offer from Dallas Cowboys as an undrafted agent in 2012. His parent has been his number one die-hard supporters from his High school and College days and even at a time quit their full-time jobs just to be available at his playdays from the stands cheering him on. His wife Krystin is not left out with showing her big support as well, she has a massive online presence as she constantly posts his games and shows mad love for her husband as well as tidbits about her family outside football.